Tomorrow (Wednesday) night at On The Rocks there's a live band playing from 8:30pm and there's no cover charge to see them. 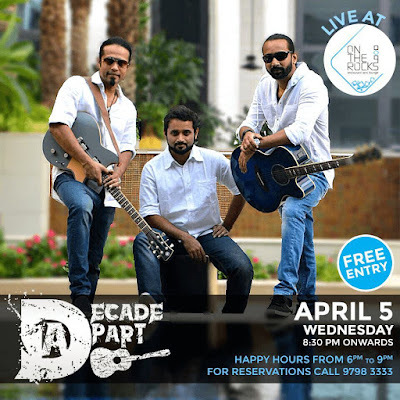 Admittedly, I've no idea who Decades Apart are (the band in question) but live music is always fun to see, and the Happy Hour at On The Rocks runs from 6pm until 9pm which is a rather attractive 50% off selected things... beer, wine, spirits. Not a bad option for some free live music and cheap drinks mid-week.